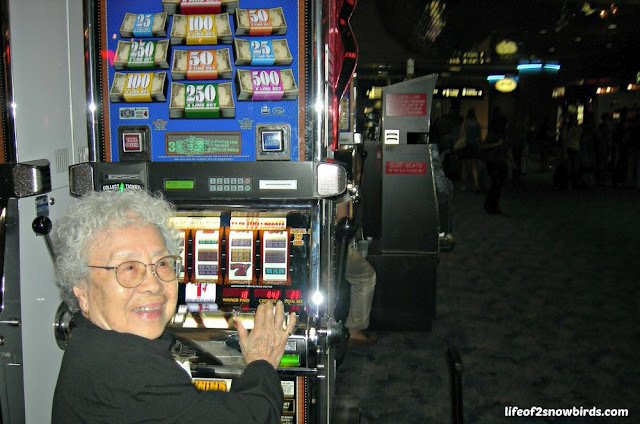 My mom's favorite pastime was playing slot machines and her favorite place to play was Las Vegas. We celebrated her 90th birthday there, 6 years ago, with about 40 of her family and friends coming from NY, Florida, Arizona and California to join us. We were planning one last vacation for her in Vegas this past February but sadly she passed away a couple of months before the trip. My sister, Sandie, and I, and a few others, decided since we had our reservations already that we would not cancel them. We thought that Mom would want us to go. Because my mom was such a fan of Vegas, we have been there many times. She was happy to sit in front of the slot machines all day but we needed to find other things to do and it was always very easy to find lots of things to do. There are so many things to do on the Vegas Strip including the Vegas shows, the aquarium at Mandalay Bay and thrill rides like the roller coaster at New York-New York. There are also so many things to do that are free or cost very little. (Look for that post next week!) And there are very good deals on hotel rooms or packages that include flight and hotel which makes Las Vegas affordable on a retirement budget. And if you want to venture off the strip, you can find some very fun things to do in the area. This year Sandie and her husband, Mini, rented a car and we drove about 25 minutes to Red Rock Canyon National Conservation Area. At the entrance, we were given a map with a detailed list of the different trails running through the canyon. The terrain was different and the level of difficulty differed with each trail. They were rated from being easy, with the trail being wheel chair accessible, to challenging and not accessible unless you had an off road/4 X 4 vehicle to maneuver around in. We hiked the easy to moderately strenuous trails. 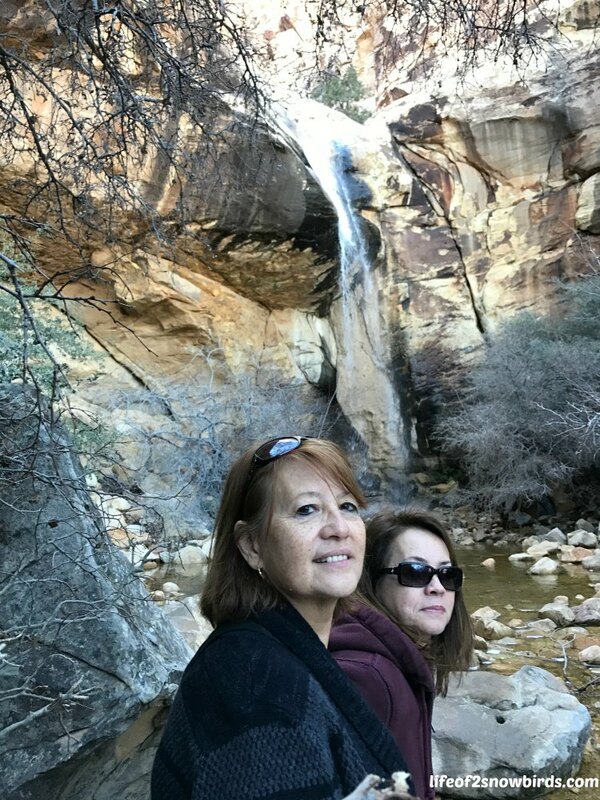 The most challenging for us was the trail that led to a waterfall. There were huge boulders to climb over and a stream to cross over. Trying to select the flattest and least slippery rock to balance and stay on, without hiking boots, made this a bit of a treacherous adventure but gave us a sense of accomplishment, and relief, when we navigated across it without falling into the water! We were treated to a beautiful sight once we made our way past all the obstacles. We had so much fun exploring all the trails and took lots of pictures. Yes! That's Sandie posing for a photo after she wedged herself into the rock! 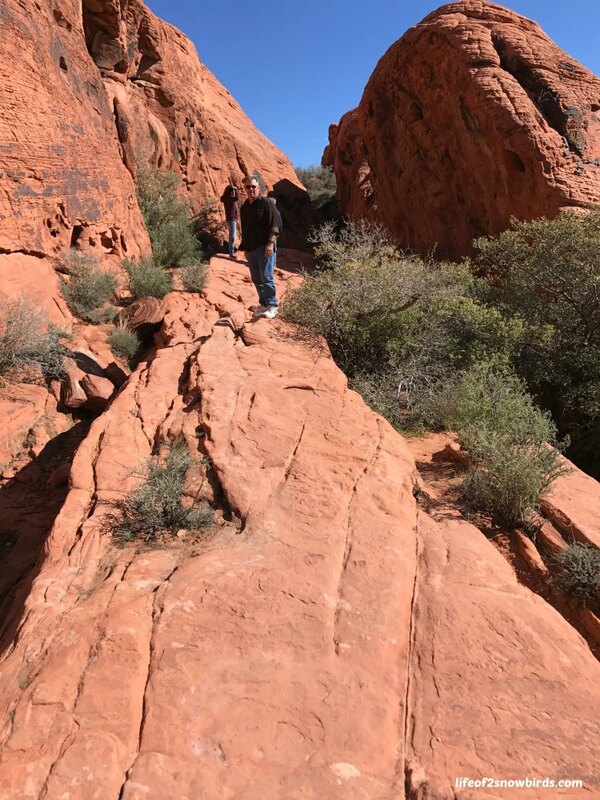 I would highly recommend a visit to Red Rock Canyon if you are ever in this area but make sure you bring your hiking boots! If you have an entire day that you can spend off the strip, I highly, highly recommend finding a bus tour to take you to the Grand Canyon. We took the tour the year we celebrated Mom's birthday and had a great time spending the day with many of the party guests. For $75.00 per person, which includes the entrance fee, you can have a bus pick you up and drop you off at your hotel, give you snacks and water, take you to a buffet lunch and do all the driving as you nap on your way to and from one of the most breathtaking places on this earth. I had seen many photos of the Grand Canyon before I actually went and even the most professional shots don't do it justice. It was much more incredible than I ever imagined! I found a gorgeous spot to sit in front of that I thought would capture the awesomeness of the canyon but this shot doesn't come close at all. The Grand Canyon definitely needs to be seen in person. 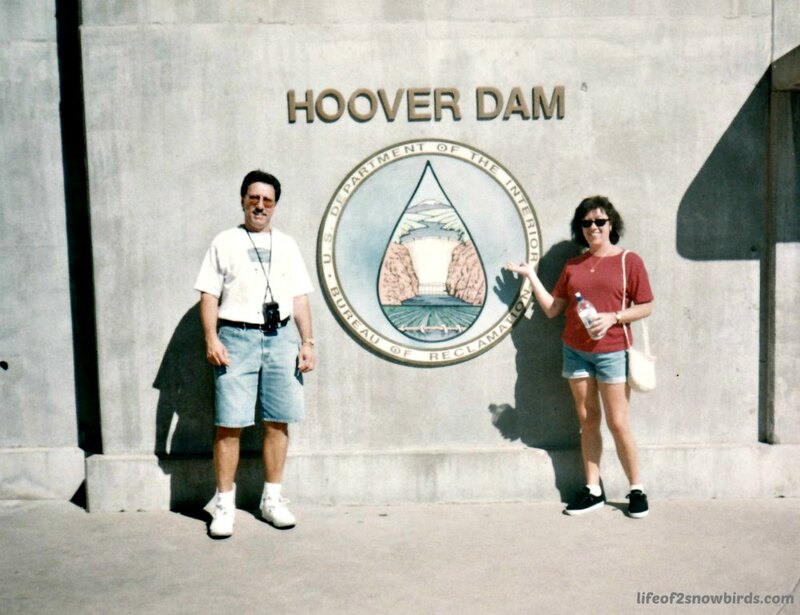 Another popular tour to take from the strip, or a short ride if you rent a car, is Hoover Dam. We rented a car with our good friends Susan and Frank when we vacationed in Las Vegas, with Mom of course, almost 20 years ago. Soko, Frank and Susan paid $15.00 ($12.00 for seniors 62 and over) each to take the 30 minute Power Plant tour and that fee included entrance into the Visitor Center. I paid $10.00 to enter the Visitor Center but took a pass on going into the Power Plant which is not recommended for people with claustrophobia! They decided on not taking the hour tour that cost $30.00 and included a tour of the dam passageways because they didn't want to leave me that long. 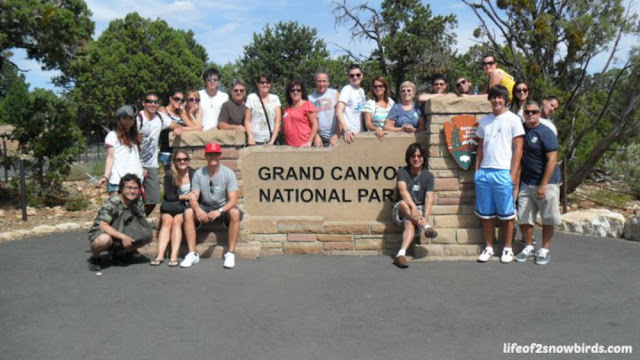 I heard from the three of them that they had a good time on the tour and that it was very interesting and informative. I am taking their word for it! 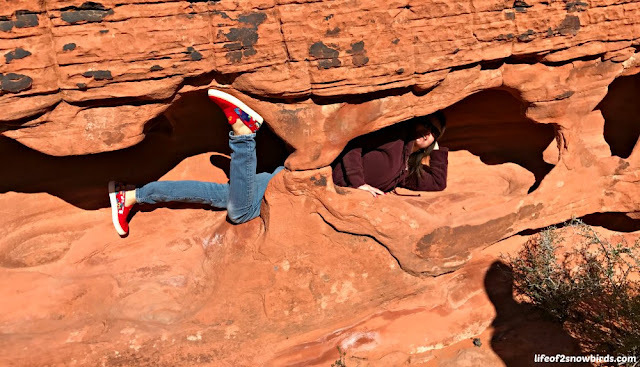 Speaking of fees, the entrance fee for the Grand Canyon is $12.00 per person for a day pass and $7.00 per vehicle or $3.00 per person if you are walking or bicycling into Red Rock Canyon. Something to consider if you are planning a trip to see both of these sites, is purchasing an America the Beautiful - National Parks and Federal Recreational Lands Pass - Annual which costs $80.00 but admits the vehicle of the pass holder and their passengers into parks that have vehicle entry fees and/or admits the pass holder and 3 adults into per person fee areas. Important note to all seniors 62 and older: Seniors can purchase a lifetime pass for a one time fee. It works the same as the annual pass described above. If you act very quickly you can purchase a lifetime pass at the rate of only $10.00 (plus a $10.00 processing fee). The cost of this lifetime pass is being raised to $80.00 starting August 28, 2017. I won't be turning 62 in time. I can't believe I'm actually annoyed that I'm not older than I am! I couldn't end this post without a picture of Mom in her favorite place. In front of a slot machine. She sat down at the first machine she saw at the airport when we landed in Vegas. "Let's get this party started" was what she was thinking for sure!! 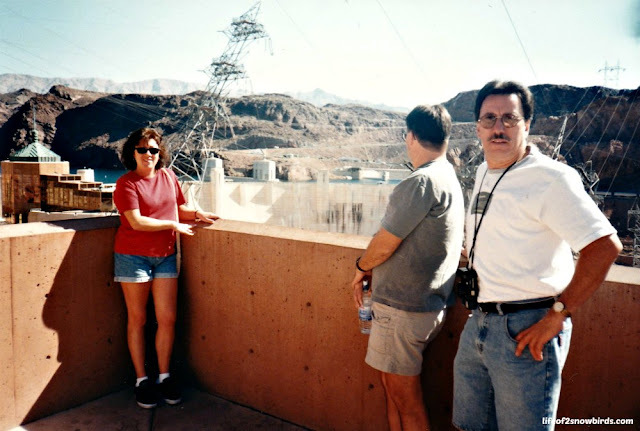 We've been to Las Vegas a couple of time and enjoyed touring the hoover dam (my husband owns a very small hydroelectric dam so that was on his "must see" list!). Wow! That is so cool to own a dam! He must have loved touring the Hoover Dam. I have been both to Red Rock and the Hoover Dam. There is also Springs Preserve just off the strip and the Nevada State Historical Society on the same ticket. Plus UNLV has an amazing art museum on the campus. I am making a note to myself to definitely check out the places you mentioned. Thank you so much for sharing! What a lovely photo of your mom! She looks like she is having such a good time. I'm glad you ventured off the strip, we have yet to do that on a visit to Vegas. The Grand Canyon is definitely on our list - my husband wants to do the helicopter tour that includes the Hoover Dam...I'm not sure...!! Thank you so much for sharing your experience with us at the Hearth and Soul Link party. Hope you will visit again this week! Aww! Thanks! She loved Las Vegas! I hope that you do get to venture off the strip the next time you go. I agree with you about not being too sure about the helicopter tour though haha! Sounds like you had a great trip! 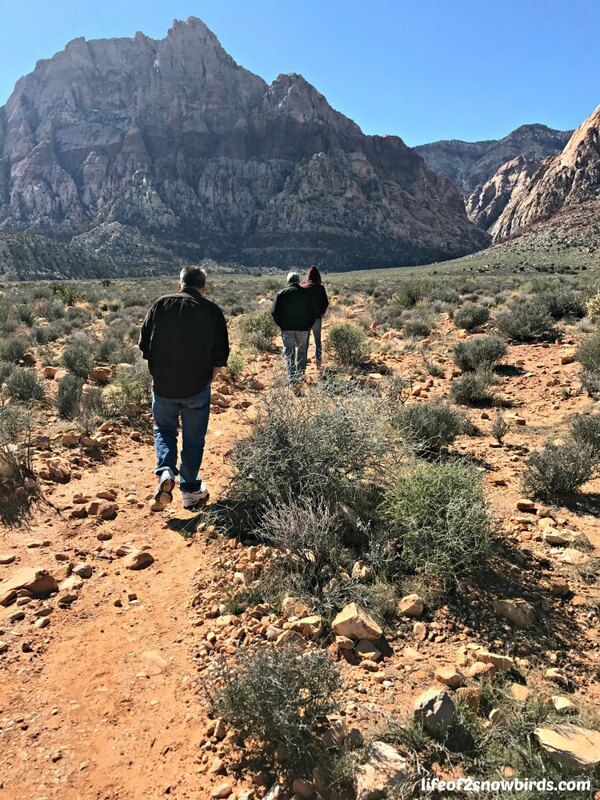 I lived in Las Vegas for about 30 years, and another 5 years in Utah, before moving to North Carolina.I think Las Vegas is absolutely beautiful, as is the rest of the state. The mountains are awesome, and it looks like you saw some of the best places! Thanks so much for sharing at Celebrate It! We had a great time exploring Las Vegas. I can't wait to go back. It is beautiful and you were lucky to be able to live there and Utah for all those years. How do you like North Carolina. I lived in New York all my life until 2 years ago when we retired and also moved to North Carolina and Florida. I love North Carolina. We moved here about 4 years ago. I moved to Las Vegas in 1980. It was so much smaller! I am lucky to have lived there. 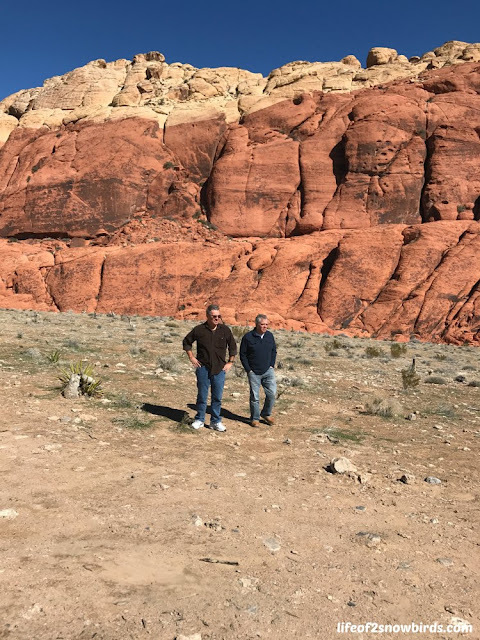 We traveled all over the west when we could, and saw some amazing and beautiful places! I hope you are liking North Carolina! What part are you in? I am right outside Raleigh, in Garner. You are fortunate to be able to have lived on the west coast and explored that part of our country and now you have a chance to explore the east coast. You are about 2 hours from me in NC. I live 10 minutes from downtown Wilmington and I do love living here. I lived all my life in New York which I loved but I am so much happier here and having a very long summer compared to a very long winter! How cool to see the dam and the surrounding area! Yes. We had a great time! Thanks for visiting! 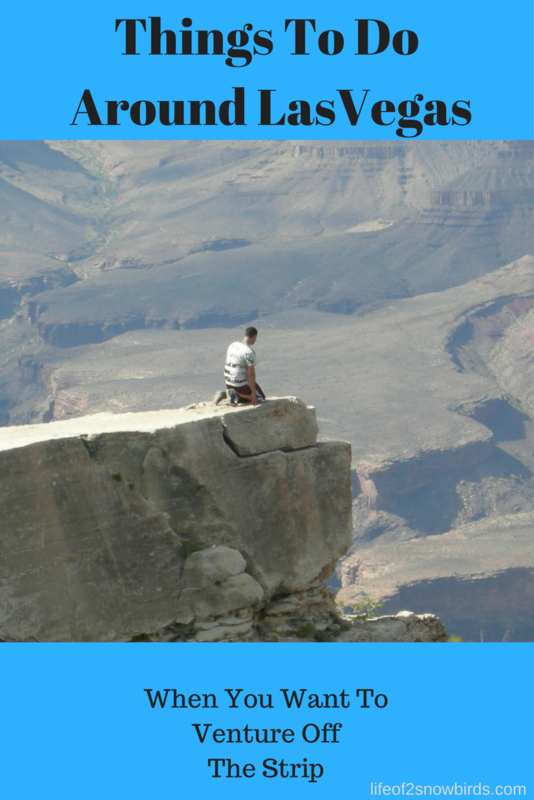 You're right, of course, that the Grand Canyon should be seen in person if possible, but I think your photos might be the only chance some people have to 'be' there. I'm glad you included Red Rock Canyon, because we stayed near there some years ago. Lots of good memories. I'm a Canadian and now we're watching the first Las Vegas professional hockey team playing in the Stanley Cup Finals. Several of the Golden Knights are from Canada, so we are fans because we recognize the names! Did your mother enjoy sports events...betting on sports events? She sounds like quite the wonderful character, and it seems you all have such good memories of her. I lost my parents a few years ago. Had they lived, they'd be 94 now, still younger than your mother! I'm sure you'll treasure the memories. At the risk of boring you, I have one more story: I have a brother who is 21 years younger than I am, and until he reached high school he used to spend winters in Mexico with Mom and Dad. 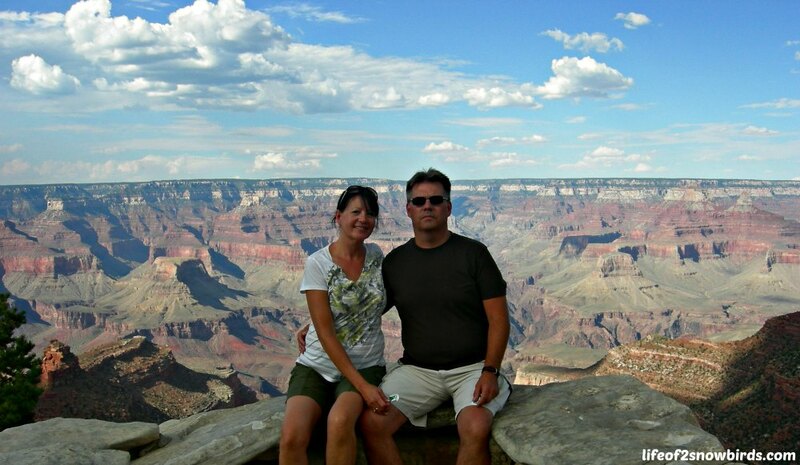 When he was about 3, Mom and Dad and my grandparents drove down to Baja together, and stopped to see the Grand Canyon. The little guy was impressed with his first view of it, but when they stopped again, he looked at it and said, "Still the same old hole!"